Six races, that was all the fantastic Breavehart Jr needed to convince Guy Van der Auwera of his great talents. This bird claimed several top results, including a semi-provincial victory from Ecouen, before being promptly transferred to the breeding loft. Guy Van der Auwera was forced to make a fresh start (almost all of his best birds were stolen in 2003) and he did some important investments over the past couple of years. One of his most successful introductions was without doubt the Kaasboer bloodline, which proved its potential for the first time in the lofts of Jef Goovaerts, before turning into a world class bloodline for Gaston Van de Wouwer. 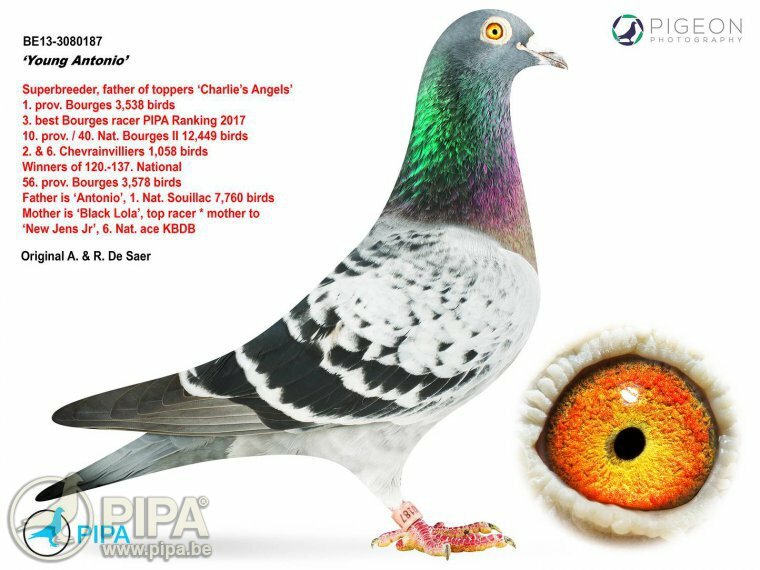 It was super class breeder Super 481 in particular that provided Team Van der Auwera with numerous talented racing and breeding birds. The youngest star of this team is Breavehart Jr, who was sent to the breeding loft after just six races. And let's not forget the fantastic Charlie's Angels bloodline of Rudi De Saer x Rik Cools.This line consists of three super class hens, named after the three actresses from the TV series. They have done really well in this breeding loft, and all three stem from the same parents: Young Antonio (Rudi De Saer) and Beauty Cools (Rik Cools), from the line of De Kleine of Gaby Vandenabeele. And there is another prominent bloodline that was introduced over the past few years: the line of Gladiator of Bart Geerinckx, which Breavehart is a direct grandson of. 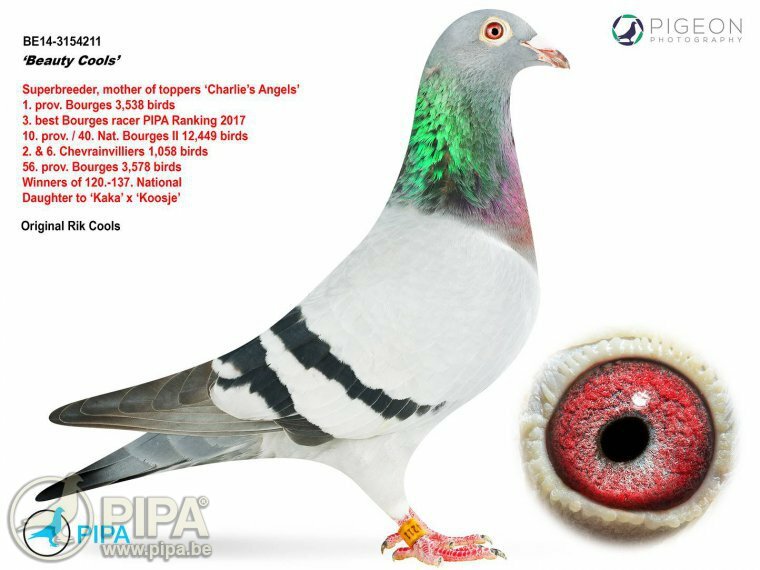 Longer middle distance champion Leon Jacobs from Tremelo did great with this bloodline as well, with his descendant Mister Chateauroux claiming a 1st National Chateauroux Zone B1 of 3,850 pigeons. This champion had already won several top prizes when Guy decided to put his racing career on hold. He had completed no more than six races. Keep in mind both his parents Breavehart and Glady (the Gladiator bloodline) had been sold earlier on. Guy did not hesitate to transfer Breavehart Jr to the breeding loft, hopefully to provide him with talented descendants. Like we said, the sire is Breavehart, winner of two first prizes and a direct son of Super 481, a son of Kaasboer. Another son of Breavehart is Early Grey, winner of a 1st Noyon of 876 pigeons and a 2nd Dourdan of 1,035 pigeons. 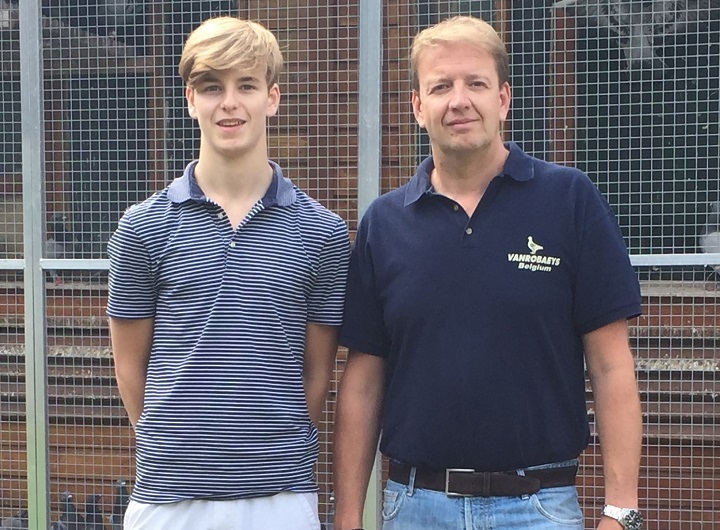 A grandchild of Breavehart has a 1st Interprovincial Vierzon of 8,105 pigeons to his name. The dam is Glady, which is a daughter of super class pair Gladiator x Iron Lady of Bart Geerinckx. Glady is the half sister of a 1st National Ace Pigeon KBDB 2015, and she is also the dam of B-Special, winner of a 1st National Zone B1 Montluçon (3,494 pigeons) and an 8th National Zone B1 Bourges (4,130 pigeons). This is all in all quite a remarkable pedigree. For the full version click here. Several lofts in Belgium and abroad have become quite successful after they introduced the invaluable Van der Auwera bloodlines in their collection. For an overview of their references in recent years click here. eerdere hokken in binnen- en buitenland waren al succesvol met duiven die bekomen werden van de gouden lijnen van Guy Van der Auwera. Een overzicht van de voorbije jaren is hier terug te vinden. 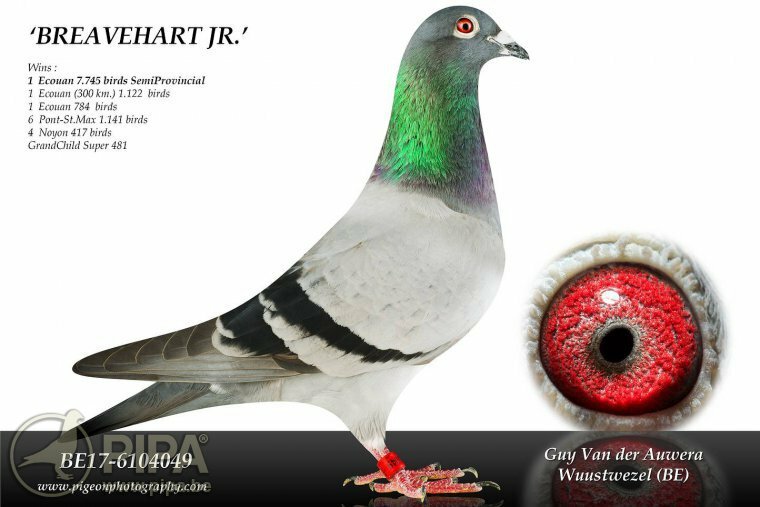 The team has added another talented pigeon from their Super 481 line to their breeding loft: Breavehart Junior. He joins an extensive group of breeders from the renowned bloodlines of Super 481 and Charlie's Angels, and from some other recently introduced bloodlines: Mister Chateauroux (50% Leon Jacobs) and the now world famous line of Gladiator of Bart Geerinckx. This should give him plenty of options to turn 2019 into a great success. We have seen repeatedly in the past that this breed delivers new champions on a regular basis, both at home and abroad. We can only hope their opponents are up for it.